Eliminated the facility to start applications running on Java JDK 1.7.x. To the About dialog box, added the Configuration Segments Information section. In the RadixWare Web Explorer application, added the facility to open explorer branches as separate tabs located above the selector toolbar. As such, to the Application Appearance / Explorer Tree dialog box, added the Restore opened tabs flag. In the RadixWare Desktop Explorer application, added the facility to rename pages. As such, added the Rename Page command to the context menu. In the RadixWare Desktop Explorer application, to the bookmark context menu, added the Delete All Bookmarks command used to delete all bookmarks from the panel. In the RadixWare Desktop Explorer application, added the facility to select several objects in the tree-like selector and then delete, copy, duplicate or perform other actions on them. Added the facility to add additional columns to the selector. In the RadixWare Desktop Explorer application, added the facility to open the explorer tree branches as separate tabs located above the selector toolbar. As such, to the Application Appearance / Explorer Tree dialog box, added the Restore opened tabs flag. To the application menu, added the Bookmarks item. Added the bookmark panel under the application menu. In the RadixWare Web Explorer application, added the facility to execute the command displayed as first button in the cell (in particular, opening the dialog box used to view/edit object) by double-clicking left mouse button in the cell. Supported the facility to delete all objects from the selector in the multiple selection mode even if some objects are not loaded in the selector yet. Extended the description of the extDesignerMaxHeapSize parameter. To the list of supported OS, added Red Hat Enterprise Linux ES v.7.6. Added the facility to hide the editor of the current object if the multiple selection mode is used. Now, the total number of the selected objects is displayed instead of the editor of the current object. Added the display of information on existing replacement files in the File Replacements area of the About dialog box. Extended description of browser requirements. On the sorting and filtering panel, added the Hide Filter Parameters and Show Filter Parameters buttons. It is possible to change the size of the filtering parameters area by pressing the left mouse button and moving the splitter located under the Hide Filter Parameters and Show Filter Parameters buttons. Changed the logic of searching for an object in the selector by the specified text. Now, the search is performed starting from the previous/next row in the selector. Previously, the search was performed starting from the current row. Fixed the error due to which the list of available nodes/attributes displayed incorrectly in the XML editor. Now, the Maximum number of items in drop-down list parameter of the explorer appearance settings is used to display the available items. 08.06.2018 - Changed the startup command for RadixWare Desktop Explorer. Added the facility to set the current date and time without using the date/time editor. For common and user-defined filters, supported the facility to define the additional condition when creating a parameter of the Object Reference type. Supported the facility to enable / disable the search of the available connection addresses. Supported the facility to enable / disable the default usage of the multiple selection mode. 26.03.2018 2.1.16.х Added the RadixWare Explorer startup parameter –appIcon. Supported the facility to use the Delete hot key to delete the selector objects chosen in the multiple selection mode. To the About dialog box, added the Product Installation Options area. For the RadixWare Explorer and Web Presentation Server, supported the –detailed3rdPartyLogging startup parameter. Supported the RadixWare Explorer startup parameter - alternateUdfCompletionShortcut. Changed the mechanism of updating RadixWare Explorer. Now, RadixWare Explorer is updated only after all instances of the application server are updated. As such, eliminated the Server | Check for Updates menu item. To the tree-like selectors, added the column with cells enabling to insert the selected object into the explorer tree. To insert the required object, double click the left mouse button on the selected column cell. For the current object in the tree-like selector, the respective cell will be highlighted. Clicking the Find button on the object selector toolbar. Selecting Selector | Find on the menu. In the RadixWare Desktop Explorer application, added the facility to invoke this dialog box by using hot keys Ctrl+F. The RadixWare Desktop Explorer and RadixWare Web Explorer applications are hereafter referred to as the RadixWare Explorer application when describing their common facilities. The document describes application facilities and methods of executing various operations. 1 RadixWare Server. Administrator Guide The document describes the RadixWare Server application and its startup procedure. 2 RadixWare Starter. Administrator Guide The document describes the RadixWare Starter application and its startup procedure. 3 RadixWare Web Presentation Server. Administrator Guide The document describes the RadixWare Web Presentation Server application and its startup procedure. 4 RadixWare. Programmer Guide The document describes the principal concepts, objects and functionality of the RadixWare technological platform and RadixWare Designer application used to develop applications on basis of RadixWare platform. The main purpose of the RadixWare Explorer application is to view, modify data, and execute operations. The RadixWare Explorer application provides the standard tools for navigation, editing, creating filters, generating reports, etc. Direct access to the database is not required. The access to the information is performed via the application server. The facility to install the updates without the application restart. The updates are automatically delivered to all workstations and put into operation as soon as they are ready. The facility to restrict the user access to the components with the accuracy of a separate property on the particular object or particular action on the object. Support of multiple languages. It is possible to define the language of the user interface. The unified format of most dialog boxes. The RadixWare Desktop Explorer and RadixWare Web Explorer applications are parts of the RadixWare technological platform used to build the application products. The RadixWare Desktop Explorer application represents the client part of the platform and provides the user interface. The RadixWare Web Explorer application is used to provide access to the workplace via the Web interface. The Web browser is used as a client application. It interacts with the RadixWare Web Presentation Server application via the HTTPS (or HTTP) protocol (for details, refer to RadixWare Web Presentation Server. Administrator Guide). Working in the RadixWare Desktop Explorer and RadixWare Web Explorer applications has some differences. Hereinafter, all differences are put into the special tables. The left column contains the RadixWare Desktop Explorer distinctive features, the right one - those of RadixWare Web Explorer. RadixWare Desktop Explorer has more menu functions. All facilities used only by this application are noted separately. The RadixWare Desktop Explorer application can be started in the mode of low memory consumption of the workstation. For this purpose, it is required to add the respective parameters to the [Explorer] section of the configuration file used to start the application. For details, refer to Startup and Connection Setup. If the workstation is used to develop the user functionality, it is recommended to use SSD instead of HDD. Finally, the hardware requirements depend on the operating system taking into account the RadixWare-based software products to be used. Install the latest versions of the system updates (Service Pack, Hot Fix). For correct operation of RadixWare Explorer on Linux OS, it may require to install the window manager for X Window System. It is recommended to use the latest Java update. It is recommended to install the latest versions of the system updates. The display of pop-up windows must be allowed for the URL address of web interface, as these windows are used to load and view files. The application appearance is set up in the Settings dialog box opened by selecting the Options | Settings on the menu. To reset the settings, select the Options | Reset Settings menu item. Parameters marked with an asterisk (*) are available in the RadixWare Desktop Explorer only. *Icon size. The size of the icons displayed in the explorer tree. The value can be set within the range from 16 to 32 pixels. Background color. The color of the background behind the tree. Position. The explorer tree position in the application window (from left / right / top / bottom). Remember current item . If the flag is set, the current context of the explorer tree is saved when closing the application. When being re-opened, the application automatically recovers the context of the previous session. Save user-defined items . 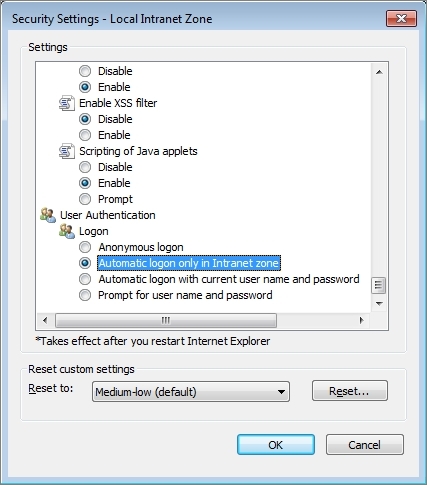 If the flag is set, the user-defined items of the explorer tree are saved when closing / opening the application. Restore opened tabs. If the flag is set, all tabs opened before disconnection will be saved. By default, the flag is not set. *Font. The paragraph header font. Background color. The paragraph header background color. Foreground color. The paragraph header foreground color. Show icons . If the flag is set, the paragraph icons are displayed in the explorer tree. The page is used to set up the paragraph items appearance. The set of parameters is similar to that of the Paragraph page (see above). The page is used to set up the appearance of the items inserted into the tree. The set of parameters is similar to that of the Paragraph page and, additionally, includes the Open editor after inserting object into tree flag. If the flag is set, the editor area opens automatically after the user-defined item is inserted into the tree. The page is used to set up the user-defined items appearance. The set of parameters is similar to that of the Paragraph page. *Icon size in toolbars. The size of icons on the editor toolbar. The value can be set within the range from 16 to 32 pixels. *Icon size in tabs. The size of icons on the editor pages. The value can be set within the range from 16 to 32 pixels. *Font in tabs. The font of page headers in the editor. Maximum number of items in drop-down list. The maximum number of items shown in the drop-down list of available values of the object property. For details, refer to Data Entry Fields. Field name alignment. The alignment of field names in the editor. Available values: Left, Right. The default value is Left. Remember current tab. If the flag is set, the last active page is recovered when opening the editor. If the flag is not set, the first available page of the editor will be the current one when opening the editor. By default, the flag is not set. Warn about undefined value for mandatory property when closing editor. If the flag is set, the user will be warned that the values of mandatory parameters are not defined. By default, the flag is set. Name. The font and color of field names. Value. The font and background of field values, the text color depending on the value type (own / inherited / overridden / not defined). *Icon size in selector toolbars. The size of icons on the selector toolbar. The value can be set within the range from 16 to 32 pixels. Remember current filter. If the flag is set, the defined filtering parameters are saved when navigating the tree. *Header font in selector. The font of page / table headers in the selector. *Selected object background color. The background color of the object selected in the multiple selection mode. Enable multiple selection mode by default. If the flag is set, the multiple selection mode is always enabled. The flag is not set, by default. Alternative Background Color. The color used to highlight even rows in the selector table. The styles used to display the fields of a certain type (read-only / mandatory / other fields) in different states (the state can be selected from the pre-defined list; for example, Normal, Favorite, Unimportant, etc). The style includes the font, background color and font color settings for a certain type of field. The Preview area allows previewing the style after formatting. Default. The default alignment variant defined in the system for a certain data type. 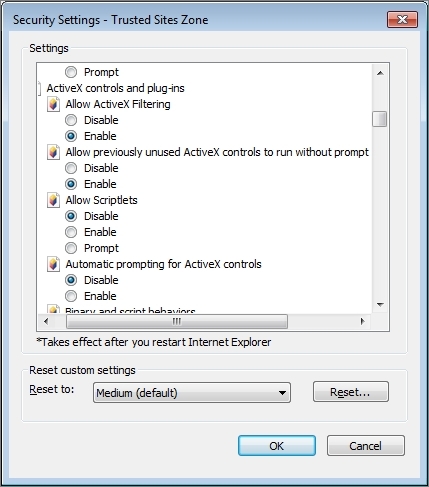 The settings are available in the RadixWare Desktop Explorer. Source Code Options for JML. The font, background color and text color for each JML element selected from the pre-defined list. For each JML element in the list, it is possible to apply the Default element settings by setting the Default flag. The Preview area allows previewing the result after formatting. 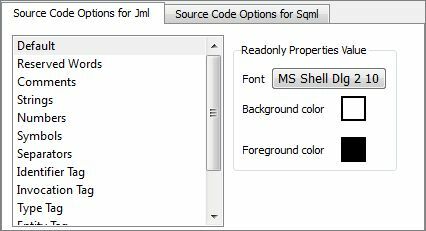 Source Code Options for SQML. The set of parameters is similar to those on the Source Code Options for JML page (see above). 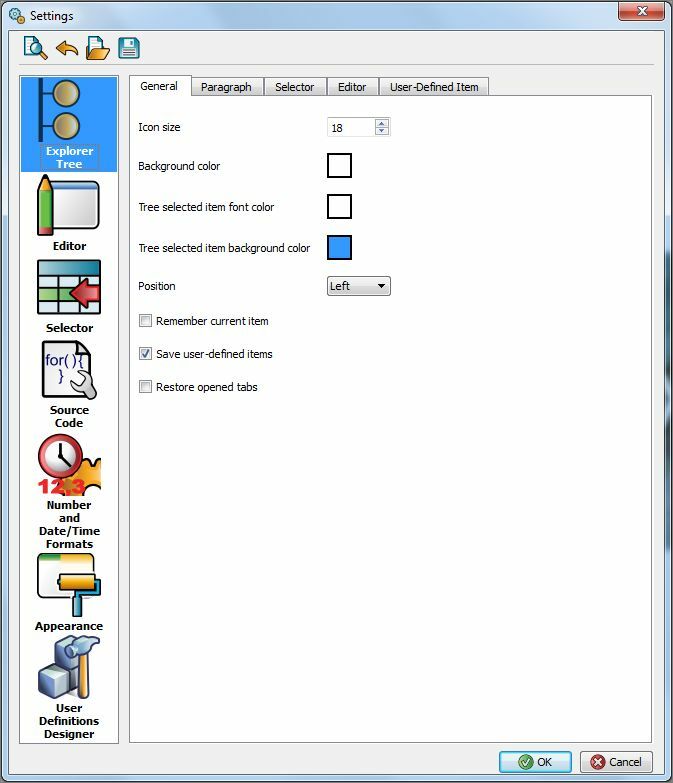 To define / change the text / background color settings of the RadixWare Desktop Explorer elements, use the Select Color dialog box (see below). To define / change the font settings, use the Select Font dialog box (see below). 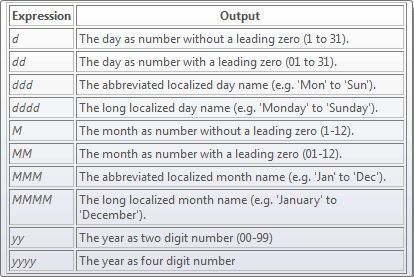 The values of parameters in the Date Format and Time Format areas can be entered from the keyboard or selected from the list of available values by clicking the Show predefined values button. The example of format is displayed next to the parameter value. To reset all settings of the format of number and date/time, click the Restore default formats button. These settings are not used for parameters if their format is defined not by means of Input mask editor, but manually in the RadixWare Designer application (i.e. the display format does not depend on the user locale). 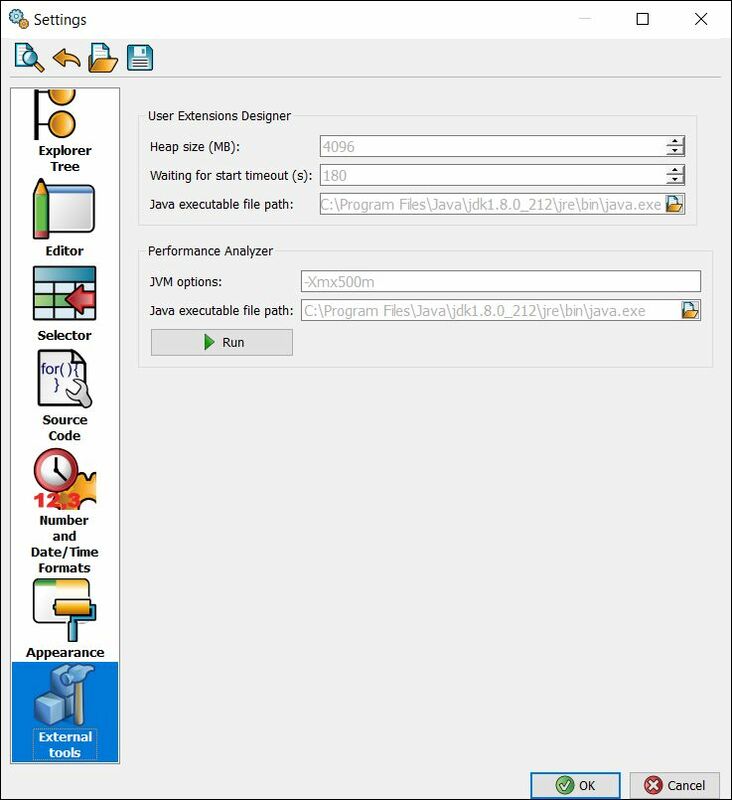 The settings are available in the RadixWare Desktop Explorer and are used to set up the style of graphic elements displayed in the application window: buttons, pages, radio buttons, data entry fields, navigation tree. The application supports the following styles: Windows, Windows XP, Windows Vista, Motif, CDE, Plastique, Cleanlooks. The Preview area allows previewing the result after the style is changed. 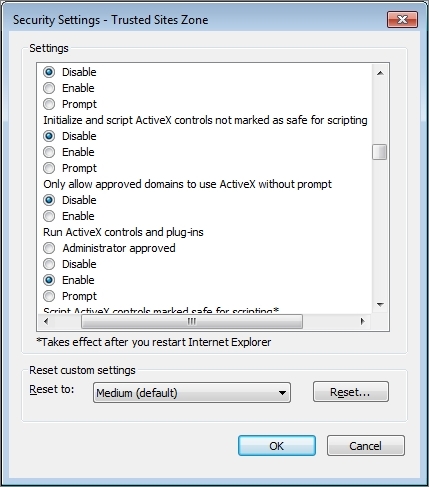 The settings are available in the RadixWare Desktop Explorer. 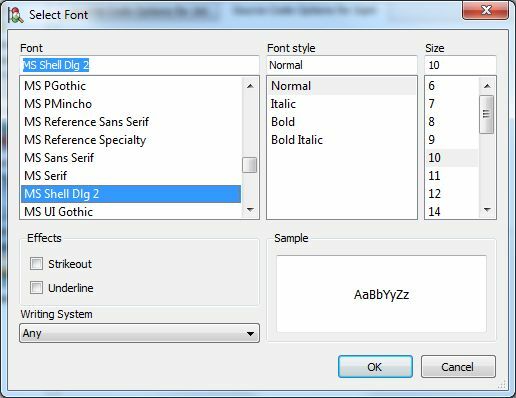 The Select Font dialog box is used to select the text font for different application elements, for example, the selector headers font, etc. The dialog box is in the context of the Settings dialog box opened by selecting the Options menu item. Font. The font type that is selected from the list. Size. The font size in points (1 point = 0.375 mm). Writing System. The type of writing system (Latin, Greek, Cyrillic, etc). The right bottom part of the dialog box displays the Sample area used to preview the result of the font settings formatting. The Select Color dialog box is used to select the color of separate components, for example, text, background, etc. The dialog box is in the context of the Settings dialog box opened by selecting the Options menu item. standard color palette (Basic colors). To define / change the color, click the button of the required color. by moving the slider (clicking on the required color hue). by matching using the color scale. The color scale displays the hues of the current color selected in the standard or floating palette. Define the hue by clicking on the required point of the color scale or moving the slider along the scale. by describing the color model. The color model allows selecting the required color by using the palettes combination by red, green and blue colors as well as by hue, saturation and brightness. The values are entered into the respective fields. The application provides the facility to create a catalog of frequently used colors (the Custom colors area). 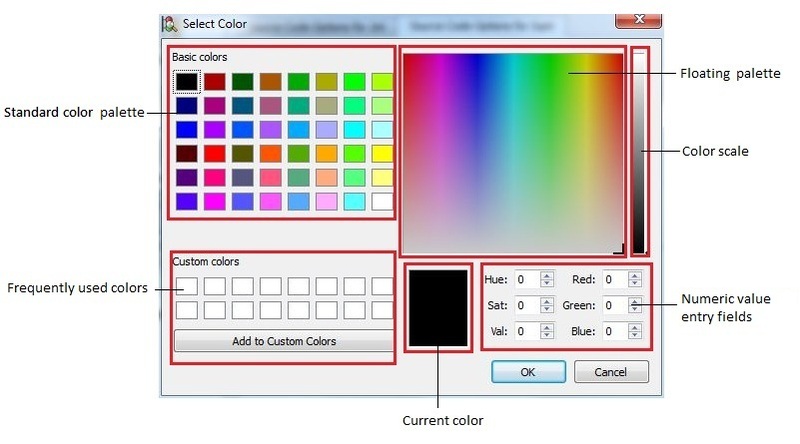 For this purpose, select the color by using one of the above-listed ways (the selected color will be displayed in the current color area) and click the Add to Custom Colors button. The selected color will appear in the catalog. by matching colors on the color scale. The color scale displays the hues of the current color selected in the floating palette. Define the hue by clicking on the required point of the color scale or moving the slider along the scale. To set up the user extensions designer, go to the User Definitions Designer section in the Settings dialog box (Options | Settings... menu item). Heap size, mb. The size of heap memory dedicated for user extensions designer. By default, the value is inherited from the -extDesignerMaxHeapSize startup parameter of the RadixWare Desktop Explorer. If the parameter is not defined, its value is calculated automatically. Waiting for start timeout, sec. The timeout in seconds for updating the starter cache when starting the user extensions designer. If the cache was not updated during the specified period, the user extensions designer is started without information on user (a user password is requested at startup). At that, a respective warning is displayed in RadixWare Desktop Explorer. By default, the value is inherited from the -extDesignerAwaitStarterMillis startup parameter of the RadixWare Desktop Explorer. 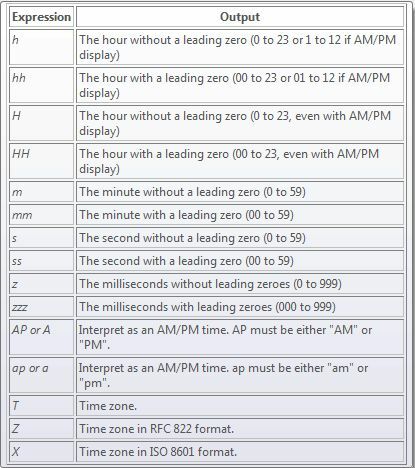 If the parameter is not defined, the default value is 3 minutes. Java executable file path. The path to the java file used to start the user extensions designer. By default, the value is taken from the java.home system property. For details on startup parameters, refer to Startup and Connection Setup. To reset the settings to the default values, delete the parameters values or use the Options | Reset Settings menu item (at that, the application appearance settings are reset as well). The tag can encapsulate various data. Depending on the type, data and context, each tag is translated to this or that code. The tag is visualized the same way. Visually, the tag is the solid text (that can not be edited) highlighted by a certain color. When pointing the tag with mouse cursor, the additional information displays (for example, constant value, where it is declared). Integrity. If the tag is changed or renamed, the integrity is not violated. When executing this code, the translator will automatically substitute the correct value. The tag contains enough information to find the constant. In this case integrity will not not violated when the table or column are renamed. Object Identifiers All RadixWare program objects that can be referred to has the identifier and called definition. The identifier is generated when creating an object depending on the current time, MAC address of network card pseudorandom data. Thus ensuring its global uniqueness (GUID - Globally Unique Identifier). The RadixWare program codes refer to definitions. To refer to definition from the code, the tag is used. The definition location can be known from its identifier that is stored in tag. In RadixWare, the definitions are presented by classes, particularly its methods and properties. All the references to them must be inserted as tags. sudo kadmin.local -q "addprinc -randkey <EAS Principal Name>@<KERBEROS REALM NAME>"
sudo kadmin.local -q "ktadd -k <path to file> -e <encryption type>"
ktpass -out <path to file> -princ <EAS Principal Name>/<WEB SERVER HOST NAME>@<KERBEROS REALM NAME> -mapUser <service account name> -kvno 0 -pass <service account password> -ptype KRB5_NT_PRINCIPAL The created keytab-file must be stored on the workstation where the RadixWare Server is running. For details on how to set up the kerberos configuration file, go to  and . On the EAS page of the own system editor, in the Kerberos service principal name parameter, specify the name under which EAS service is registered on the authentication server. On the General page of the instance editor, in the Kerberos keys file (keytab file) parameter, specify the path to keytab-file. By default, the keytab-file location is defined in the default_keytab_name parameter of the libdefaults section of the Kerberos configuration file. If this parameter is absent in the configuration file, the parameter will be searched for in the file krb5.keytab that is located in the user home directory. 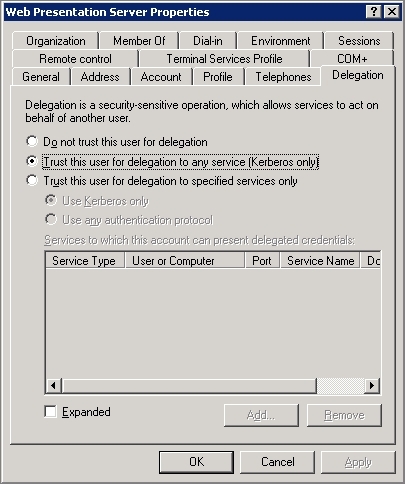 On the General page of the unit access point editor (unit implementing the EAS service), select the Enabled value in the Kerberos Authentication parameter. the name of the system user account must the same as the name of the user account on the authentication server. the Kerberos authentication must be enabled in the user account settings. Set the Authentication type parameter to Kerberos. In the EAS principal name parameter, specify the name under which the EAS service is registered on the authentication server. The parameter value must be the same as Kerberos service principal name set in the system settings. If the length of key used on the authentication server exceeds 128 bits, it can be necessary to install Java Cryptography Extension (JCE) Unlimited Strength Jurisdiction Policy Files 7 to the workstation (depending on the encryption algorithm). 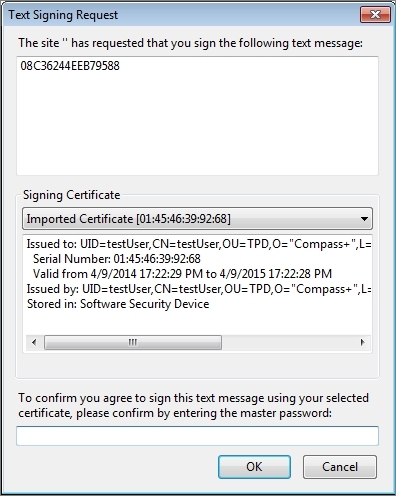 To use the user authentication data obtained when logging in to Windows OS to establish connection, specify 1 in the registry parameter HKEY_LOCAL_MACHINE\System\CurrentControlSet\Control\Lsa\Kerberos\Parameters\allowtgtsessionkey (for Windows Xp - SP2 HKEY_LOCAL_MACHINE\System\CurrentControlSet\Control\Lsa\Kerberos\allowtgtsessionkey). The domain user must not be included in the group of local administrators or User Access Control must be disabled. When a user is authenticated by certificate in web interface, RadixWare Web Presentation Server transfers the user certificate in the EAS session creation request to the application server. The application server (RadixWare Server) validates the certificate and creates the response that is signed by the user certificate in the browser. The signature is verified by the application server; if the signature verification is successful, EAS session opens and the user logs in to the system. If the browser does not support the facility to sign message by user certificate (or an error occurred in the course of this operation), the user is prompted to enter the account password. The following browsers support the certificate authentication: Mozilla Firefox, Internet Explorer. In the configuration file containing the RadixWare Web Presentation Server startup parameters, define the values of the following parameters: keyStoreFile (path to the certificate storage), keyStorePwd (password to the certificates storage). For the user account, enable the authentication by certificate (to set up the account, go to RadixWare | Administration | Users). Set up Apache Tomcat for using SSL protocol (for details, refer to Apache Tomcat documentation). In the file describing the connections between web server and RadixWare Server, set the UseSslAuth parameter (tag <SSLOptions>) to true. For details on RadixWare Web Presentation Server settings, refer to RadixWare Web Presentation Server. Administrator Guide. Set up the browser for using the certificate authentication. 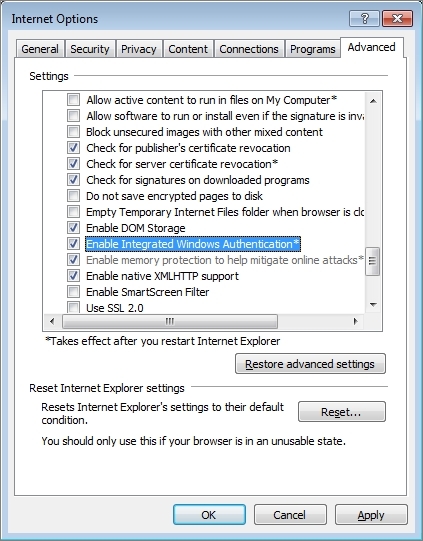 For details on the Internet Explorer security settings, refer to the respective documentation. On the authentication server, register EAS service and create keytab file. On the applications server, set up the instance and EAS service access point for using Kerberos. Set up user account for using Kerberos protocol. setspn -A HTTP/<WEB SERVER DOMAIN NAME>@<KERBEROS REALM NAME> <service account name>.te file by running the following command: ktpass -out <path to file> -princ HTTP/<WEB SERVER DOMAIN NAME>@<KERBEROS REALM NAME> -mapUser <service account name> -kvno 0 -pass <service account password> -ptype KRB5_NT_PRINCIPAL. sudo kadmin.local -q "addprinc -randkey HTTP/<WEB SERVER DOMAIN NAME>@<KERBEROS REALM NAME>" sudo kadmin.local -q "ktadd -k <path to file> -e <encryption type>"
The value of <WEB SERVER DOMAIN NAME> must match the address used to access the web interface. The created keytab file must be stored on web server. In the file describing the connection between web server and RadixWare Server, specify the name of EAS service account on the authentication server (the Spn attribute of the <KerberosOptions> tag). The further actions depend on the selected method of user authentication in RadixWare Web Explorer. It is possible to set up [automatic authentication-auth_web_kerberos_child.htm] or enable transferring of user account authentication data to RadixWare Web Presentation Server. To set up the second method, in the configuration file of RadixWare Web Presentation Server, select basic or radix in the remoteKrbAuth parameter. In this case, when establishing connection in the browser, the user is prompted to enter the name and password of the user account on the authentication server. For the security purposes, it is recommended to disable the transfer of account authentication data to RadixWare Web Presentation Server. This facility can be used only for the system debug. Without user rights delegation to web server-auth_web_kerberos_child.htm]. If this method is used, the applications server is authenticated on behalf of web server. This authentication method is a recommended one as it meets the security requirements. With user rights delegation to web server-auth_web_kerberos_child.htm]. If this method is used, web server is authenticated on behalf of user. 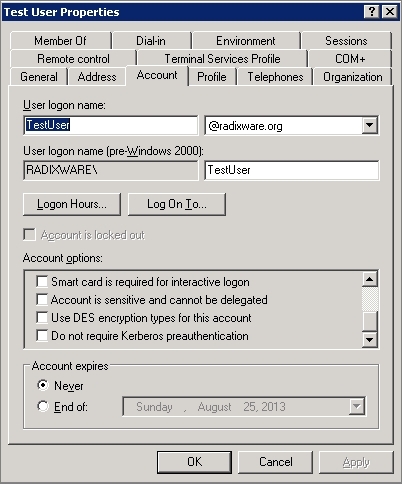 It is also necessary to [set up browser-auth_web_kerberos_child.htm] where the RadixWare Web Explorer will run. set up [authentication by certificate-auth_web_cert.htm]; in the file describing connection between web server and RadixWare Server, set the UseSslAuth parameter (tag <SSLOptions>) to false. The value of the kvno parameter must be the same as the one specified when creating the keytab file for web server. If MIT Kerberos is used in Linux OS, make sure that the forwardable is set to true (libdefaults section) in the Kerberos configuration file when registering user. Setup of browser where RadixWare Web Explorer will run Mozilla Firefox Setup To use the authentication by Kerberos protocol in the Mozilla Firefox browser, go to the configuration parameters editing page (the page address - about:config) and in the network.negotiate-auth.trusted-uris configuration parameter, specify the address to access the web interface. To use the delegation of rights, in the network.negotiate-auth.delegation-uris parameter, specify the address to access the web interface. For details, refer to Mozilla Firefox. Google Chrome Setup To use the authentication by Kerberos protocol in the Google Chrome browser, specify the application startup parameter: --auth-server-whitelist="<address to access web interface>". To use the delegation of rights, specify the application startup parameter: --auth-negotiate-delegate-whitelist="<address to access web interface>". For details, refer to Google Chrome documentation. For details, refer to Internet Explorer documentation. This page has been accessed 581,680 times.